The IACCGH recognizes that businesses thrive when policies at the State, Federal, and International level are business friendly. 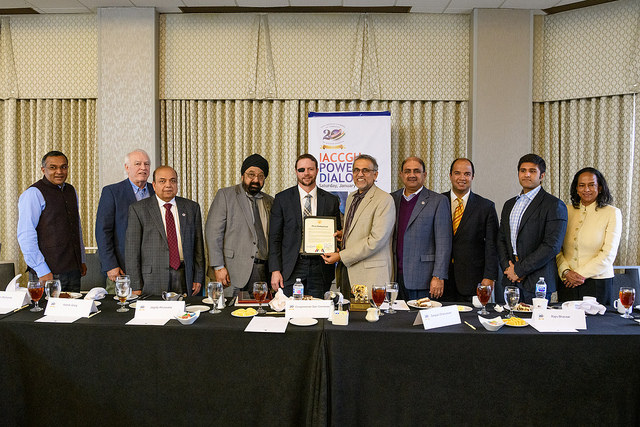 The Chamber strives to provide access to those that influence and are responsible for policies that impact business and has since 2013 launched its Power Dialogue series. 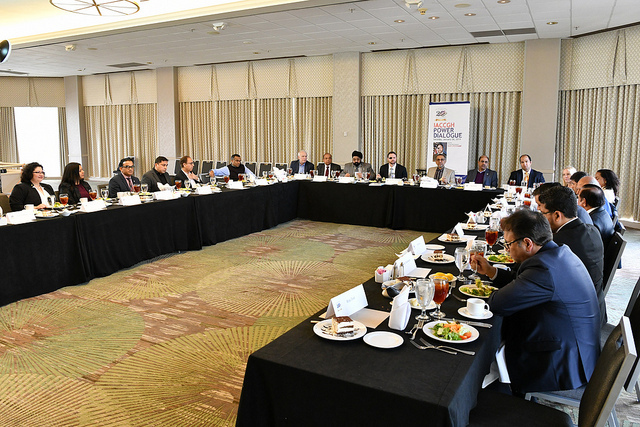 The first 2019 Power Dialogue was hosted on January 26th, 2019 at Double Tree Hilton; with the Chamber Board and representatives of small and medium businesses with Congressman Dan Crenshaw over lunch. 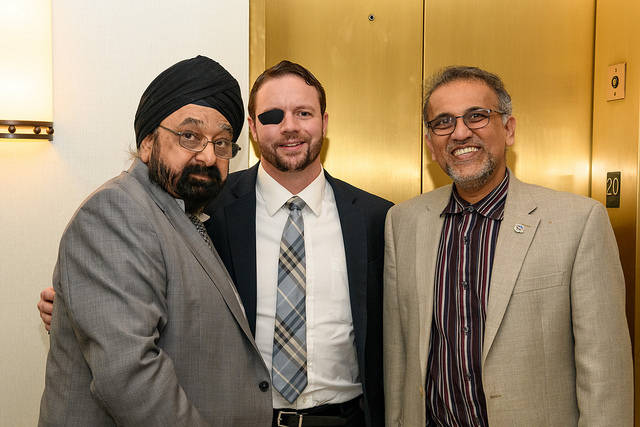 IACCGH President Swapan Dhairyawan welcomed the Congressman & presented him with a plaque & memento while Founding Secretary/Executive Director Jagdip Ahluwalia walked the Congressman through Chamber video the history of IACCGH. 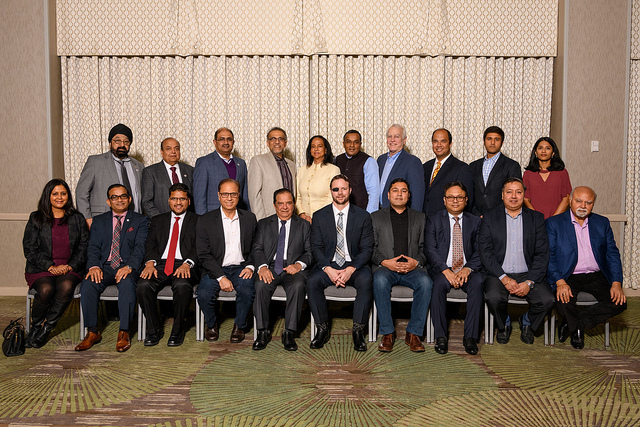 Newly elected U.S. Representative for Texas’s 2nd District, Dan Crenshaw, was honored to be the Indo-American Chamber of Commerce of Greater Houston’s guest at their first Power Dialogue of 2019. 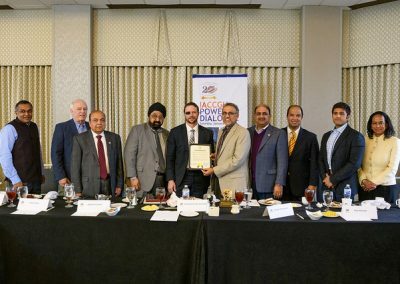 The Congressman presented Indo-American Chamber of Commerce of Greater Houston with his first official proclamation as a U.S. Representative in recognition of IACCGH’s 20 year commitment to economic growth and local job creation through bilateral trade. Congressman Crenshaw stated that, since being sworn-in on January 3rd, 2019, he has hit the ground running and will be serving on both the Homeland Security and Budget Committees. He shared his eagerness to get to work and the importance of these committee assignments for the 2nd District and the broader Houston region. On trade, he spoke on the positive economic impact trade has had on the Houston region and the State of Texas. He re-affirmed his support of free trade and his belief that tariffs are a form of taxation. The group shared their concerns with the steel tariffs and the negative impact on local businesses. On regulations, he emphasized the importance of resisting any new burdensome regulations on businesses. 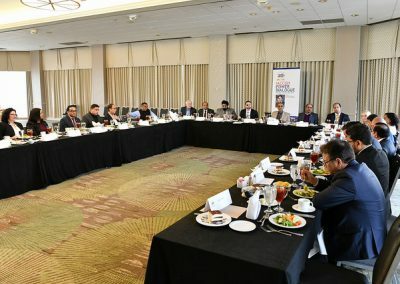 On immigration, the group shared their concern that many businesses are having difficulty getting the highly-skilled workers they need short-term temporary work visas. 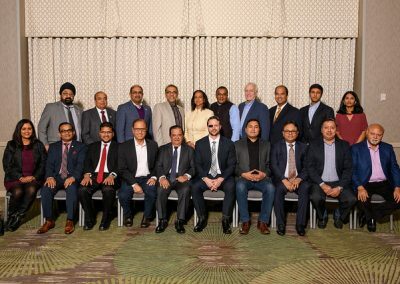 The Congressman spoke of the Fairness for High Skilled Immigrants Act, which would eliminate the per-country numerical limitation for employment-based immigrants. He remains committed to carefully reviewing the legislation in the days ahead. 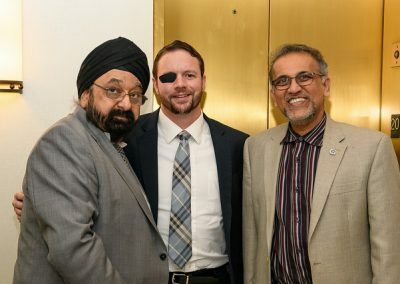 Both congressional offices are fully operational, and his team is ready and available to help constituents, both in the district and in D.C.For more information on Congressman Dan Crenshaw’s positions, District updates or constituent services please visit https://crenshaw.house.gov. 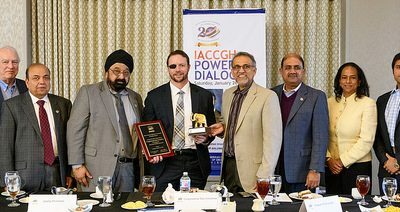 Upcoming dialogues with Congresswoman Sheila Jackson Lee, Congressman Pete Olson, and Congressman Al Green are being planned out and similar dialogues are planned with the Harris County and Fort Bend County Judges and County Commissioners throughout the Chambers’ 20th anniversary year in 2019.